The debate over what is healthier, and tastes better between Cold Bew & Drip Coffee has waged on, with many people being quite passionate about their position on the subject, despite a lack of conclusive data. A recent article in Nature.com published enlightening scientific data. If not for a strong cup of coffee or two, many would find it quite difficult to make to work on time or finish-up an important project in university or to earn a paycheck. This has led to seemingly bitter debates on Cold Brew vs. Drip Coffee taking place with both sides having little in the way of facts to back their claims up, but very strong opinions. 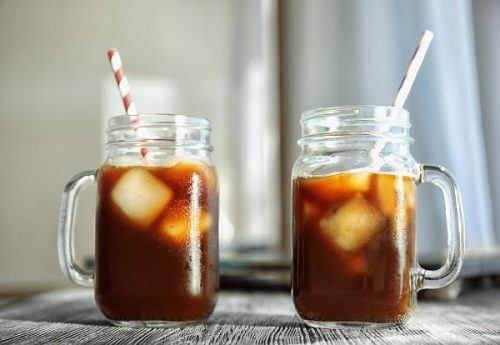 Coffee blog Coffee-Brewing-Methods.com has changed this with their fact-filled article “5 Health Benefits of Cold Brew Coffee – Why is Cold Brew Better Than Drip Coffee” by Dorian Bodnariuc recently used as a source for two scientists from Thomas Jefferson University in Philadelphia. Ninny Rao and Megan Fuller investigated how cold brew is different than hot brew coffee. The above-mentioned article and other coffee blogs were what started the research. Rao and Fuller were intrigued by the numerous claims that cold brew coffee is healthier than regular coffee, lacking scientific references. As coffee drinkers, the two scientists felt compelled to study the chemical differences between the two brewing methods. Their findings were published in the prestigious Scientific Reports, a journal of Nature.com. The author’s blog Coffee-Brewing-Methods.com has no shortage of coffee-related pieces of all kinds, with the general quality quite high, along with a growing number of product reviews in the board space. Nature.com’s approach to science-based articles tends to get to the heart of a subject with an editorial vision of keeping biases as low as possible. By all accounts, “Acidity and Antioxidant Activity of Cold Brew Coffee” has managed to accomplish this. For more information on coffee aimed at a more casual audience visit https://coffee-brewing-methods.com.